A planned charitable gift to Wellspring can be made after careful consideration of your personal and family needs, and tailored to fit your current and future financial situation. Donating to Wellspring can provide you with significant tax advantages and will allow you to make an important difference in the lives of individuals and families coping with cancer. Be given for general purposes or for Wellspring’s highest priorities. Be directed to the establishment of an endowment fund which will continue to support Wellspring Stratford in perpetuity. Bequests are an important part of your personal legacy, representing your life and values. They are relatively easy to establish and maintain, and provide an ideal opportunity to create a lasting gift to Wellspring. Your bequest can be for a specific amount or a percentage of your estate. A bequest is a cost-effective way to establish a substantial gift to Wellspring while maintaining financial security. You can make a commitment to support Wellspring now but retain your funds during your lifetime. A bequest is a tax-effective means of supporting Wellspring: Your estate may claim gifts in the year of death equal to 100% of your net income in that year and the preceding year. It is a great way to leave a lasting testimony and fulfill your personal wishes for Wellspring. Please use Wellspring’s full registered name “Wellspring London and Region” in your bequest clause. 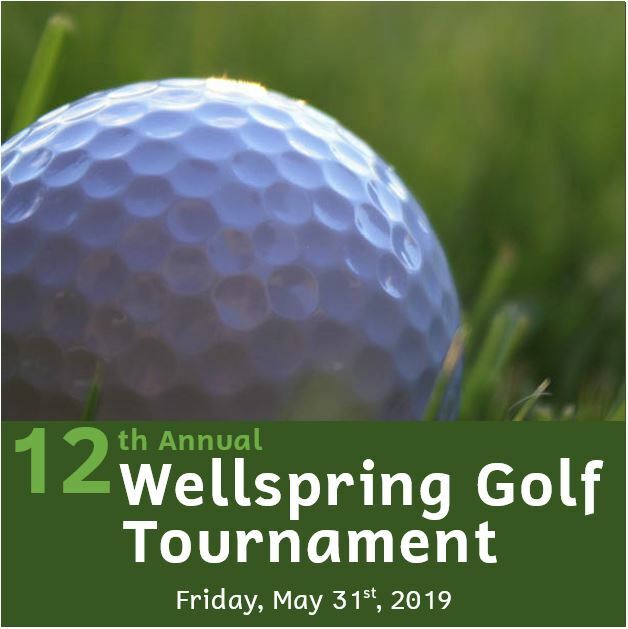 Wellspring Stratford’s charitable registration number is 86424 6129 RR0001. Wellspring would be pleased to assist you and your legal counsel by providing sample wording to ensure that Wellspring can accept your gift as you intend. You may name Wellspring as a direct beneficiary of your Registered Retirement Savings Plans (RRSPs) or your Registered Retirement Income Fund (RRIF). Gifts of RRSPs/RRIFs help provide Wellspring with the necessary support to maintain and enhance outstanding supportive care to cancer patients and their families. RRSPs/RRIFs are among the most highly-taxed assets in your Estate. If the beneficiary of your retirement funds is someone other than your spouse or dependent child, the proceeds of the RRSP/RRIF will be taxed as ordinary income in your estate. However, if you name Wellspring as the beneficiary, the total amount of the RRSP/RRIF will be given directly to Wellspring and your estate will receive a charitable tax receipt for the total gifted amount. Naming Wellspring as beneficiary of RRSPs/RRIFs is a tax-effective means of supporting Wellspring and preserves the capital in these plans to ensure that 100% of the money is received by Wellspring. You have full and complete use of your retirement savings while you are alive. RRSPs/RRIFs gifts are revocable and can be changed if your financial circumstances change. You can designate your gift to a specific Wellspring initiative or program that meets your interest. If you have already named a beneficiary of your RRSP/RRIF but would like to include or change the beneficiary to Wellspring, simply call your financial advisor or financial institution and ask to change the beneficiary designation. Please use Wellspring’s full registered name “Wellspring London and Region” in your beneficiary designation clause. Wellspring Stratford’s charitable registration number is 86424 6129 RR0001. Making a gift of life insurance is an easy and affordable way to establish a significant future gift to Wellspring. Donating by means of a life insurance policy allows you to make a larger gift to Wellspring than you may have thought you could afford, at a relatively low cost. You can make a substantial and meaningful future contribution with modest tax deductible premium payments. You can immediately become a major benefactor to Wellspring and be eligible to receive appropriate recognition during your lifetime. A gift of life insurance allows you to structure your tax credits to suit your financial situation – you can receive an annual tax credit or your estate can receive a tax credit in the year of death. You can designate your gift to a Wellspring program of choice or establish an endowment fund to extend your gift beyond your lifetime in areas of interest. You can make Wellspring the beneficiary of an existing life insurance policy, or a new one. For the cost of a monthly premium (a tax deductible expense), you can leave a major bequest. You can donate an existing policy and receive a tax receipt for the cash surrender value and any subsequent premiums paid, simply by designating Wellspring as the irrevocable owner and beneficiary. Or, you can donate a new policy to Wellspring. You will receive a tax receipt for the full amount of premiums paid after the date of transfer, again by designating Wellspring as the irrevocable owner and beneficiary. You can also name Wellspring as the beneficiary of a life insurance policy from your employer. A donations tax deduction for the estate will be available when the death benefit proceeds from the policy are paid directly to Wellspring. Please contact Daniel Lockwood at Daniel@wellspringlondon.ca or 519.438.7379 ext. 224 for more information.